Tamarack and Tamarack Prolific ewes are in high demand for commercial operations that desire females that are well adapted to pasture-based systems. The maternal qualities of Tamarack and Tamarack Prolific ewes are par none. Over 30 years of selection in a pasture lambing system and more recently a very challenging “lambing on the fly” where ewes must lamb, mother up, and be able to move to new paddocks by 3 days of age without losing track of their lambs, has shaped our ewes to be excellent mothers. Needless to say, Tamarack and Tamarack Prolific ewes give birth to and mother up on pasture without being confined to lambing pens or barns. Even ewes with three or four lambs are expected to keep track of the brood without assistance. Our ewes raise their lambs on pasture without any grain supplementation, and readily regain body condition in the fall without grain. Because of the high demand, we ask that prospective buyers contact me early in the Spring to discuss their needs. A deposit on June 1st of $50 per head will hold your ewe lambs for you. Ewe lambs are ready for the buyer on November 15th. Most buyers purchase ewe lambs “Gate Cut” meaning if they wish to buy 20 ewe lambs, I run the fist 25 ewe lambs out of the chute into a pen, and let them throw out the bottom five ewe lambs. Purchased in this way, Tamarack ewe lambs are $350 per head. 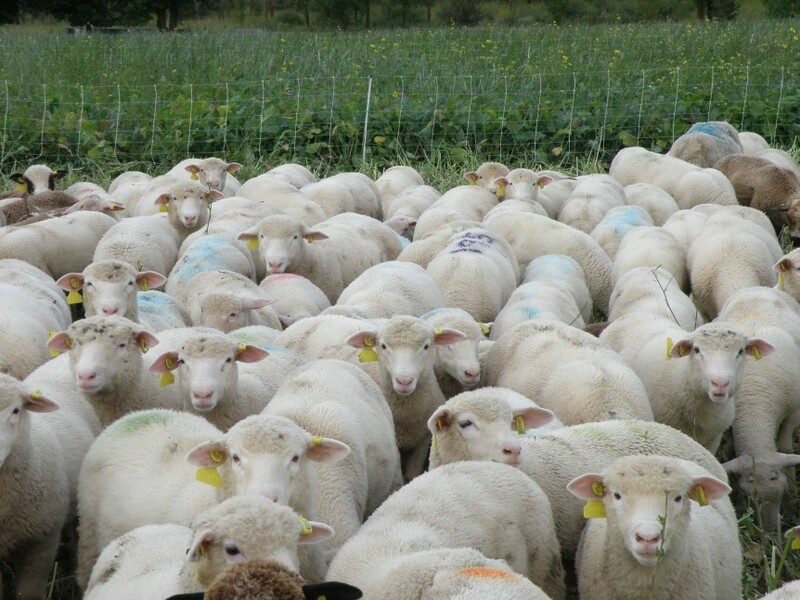 Gate cut pricing applies to purchase of ten or more ewe lambs. It is also possible to hand-pick ewe lambs off a price sheet, where a list of ewe lambs priced individually, along with their data are provided to the buyer so they can sort through the group and hand-select ewe lambs on whatever criteria they choose. Purchased this way prices range from $250 to $750 per head. Purchases of less than 10 ewe lambs are via the price sheet only. Tamarack Prolific ewe lambs are available in limited quantities (5 to 10 ewes per year) and are priced at $550 per head B+ genotype ewe lambs. 1 or 2 BB ewe lambs are occasionally available for $750 per head. Transport to the East and West coasts is made available once per year. Typically the East Coast transport occurs in the spring, and the west coast transport occurs in the fall. The usual price of a transport is $50 per ewe, but may vary slightly depending upon the number of animals on the trip.